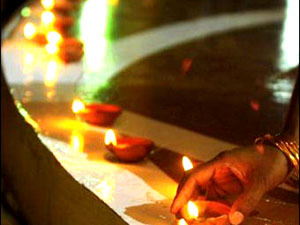 PEOPLE IS LIGHTING THE TRADITIONAL LAMPS IN THEIR RESPECTIVE HOUSE ON THIS OCCASSION. 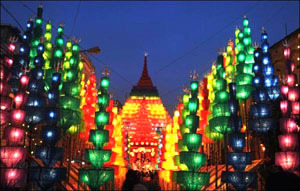 DECORATION WITH LAMPS OF LIGHT. 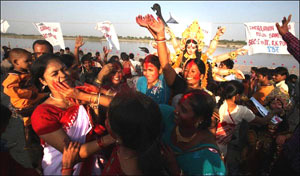 PEOPLE ARE SEEN CELEBRATING THE DUSSEHRA FESTIVAL WITH A GREAT JOY. 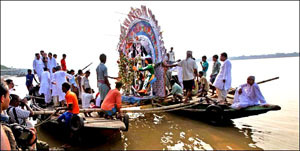 THE IDOL OF DIETY DURGA IS TAKEN IN PROCESSION BEFORE IMMERSING. 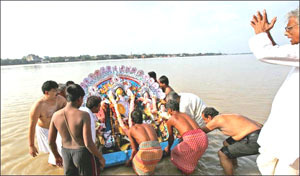 THE IDOL OF DURGA IS IMMERSING IN THE RIVER. 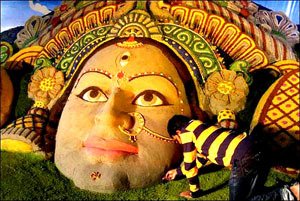 PAINTER IS SEEN MAKING A STATUE OF DIETY DURGA ON THE GROUND WITH THE HELP OF MUD.